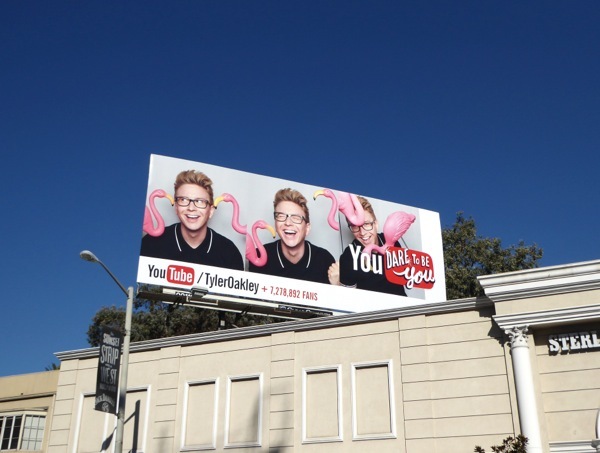 The Enfield Haunting TV mini-series billboards..
YouTube continues to shine the spotlight on its self-made online personalities and this time it's the turn of Tyler Oakley and Lilly Singh to receive some high-profile outdoor support. 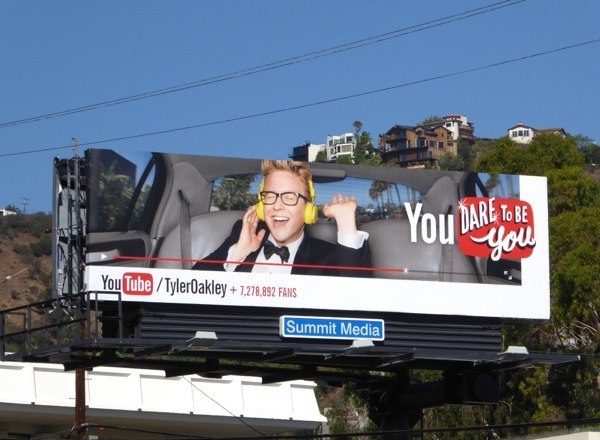 Not only do these youthful internet superstars (yes they're both still under 30) have huge followings, but they're also making major income from their online videos through various sponsorship deals, product placement, advertising and commercials on their channels. 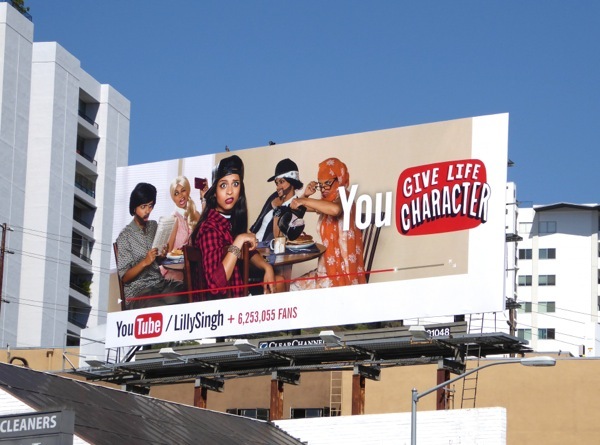 In fact Lilly Singh (aka 'Superwoman') is apparently one of the top ten influential YouTube earners, with the blogger, actress, comedian and motivational speaker making around $2.5 million a year. 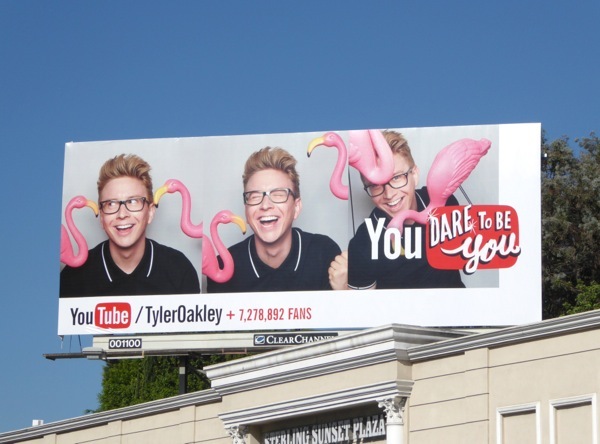 But don't despair for hilarious oversharer Tyler Oakley, he's doing ok too, with a new podcast called Psychobabble, a new documentary called Snervous due in December and a new book called Binge hitting shelves this week. 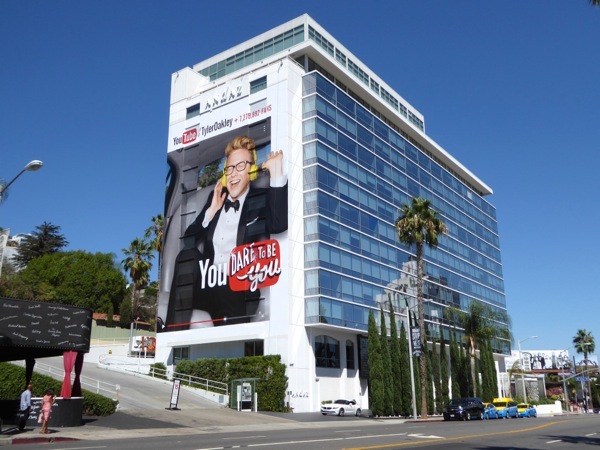 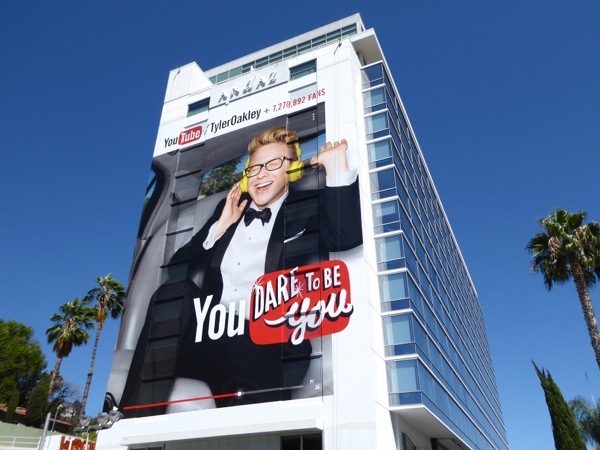 This giant-sized 'You dare to be you' billboard for Tyler Oakley's YouTube channel was snapped making an impression along West Hollywood's Sunset Strip on September 13. 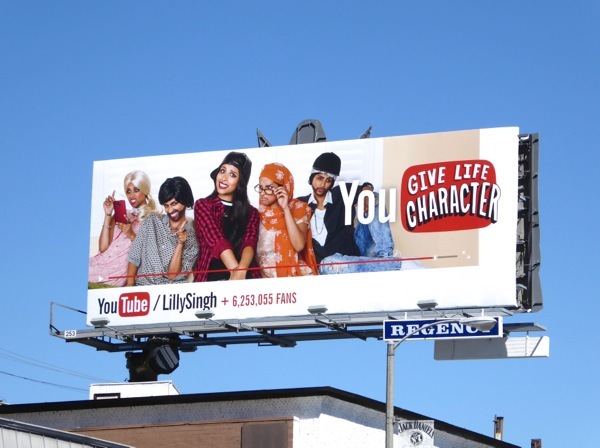 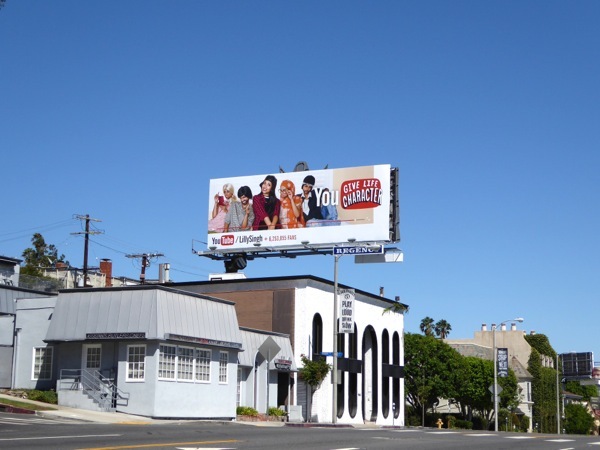 Meanwhile his other ad creatives (who doesn't love pink flamingoes), plus Lilly Singh's multi-personality 'You give life character' billboards were photographed along Sunset Boulevard, Santa Monica Boulevard and Wilshire Boulevard through September 23, 2015. 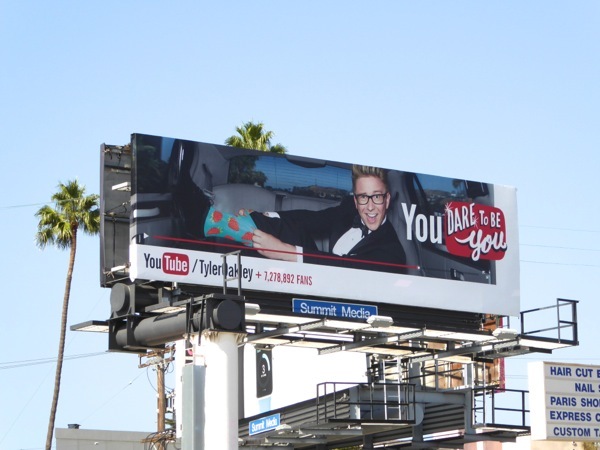 If you like these billboards for some of your favourite celebrity YouTubers, be sure to also check out these Grace Helbig and Hannah Hart YouTube billboards which dominated the city skies earlier this Summer. 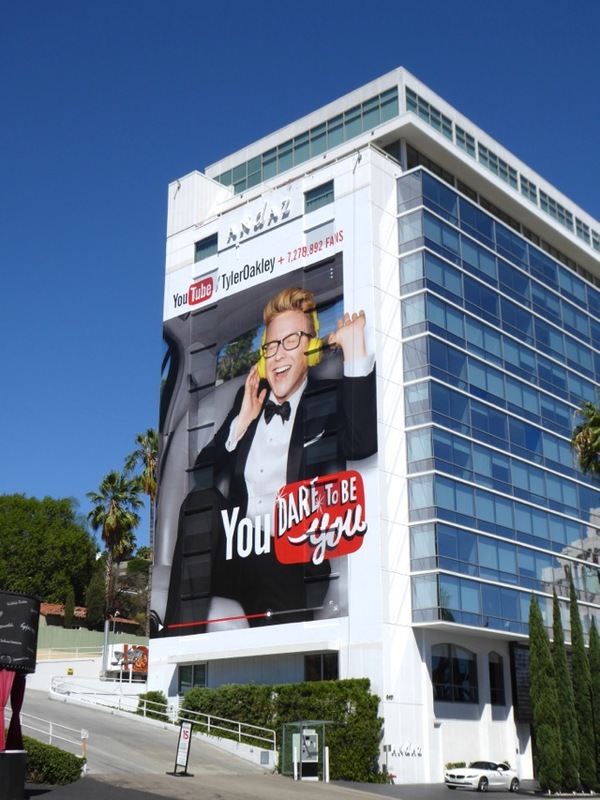 Which YouTube stars do you think will get the super-sized treatment next and which ones do you think deserve the exposure? 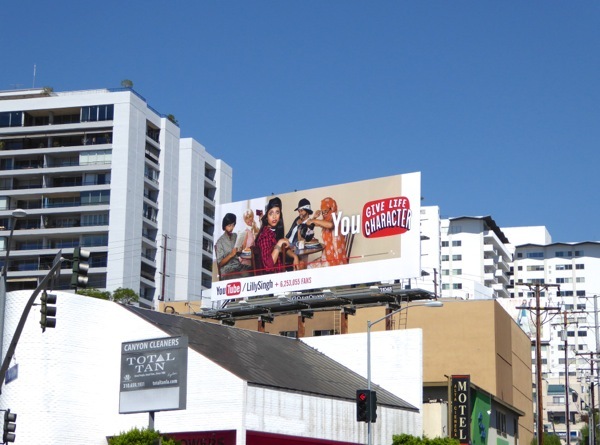 Maybe Daily Billboard should consider a YouTube channel to help the bucks come rolling in. 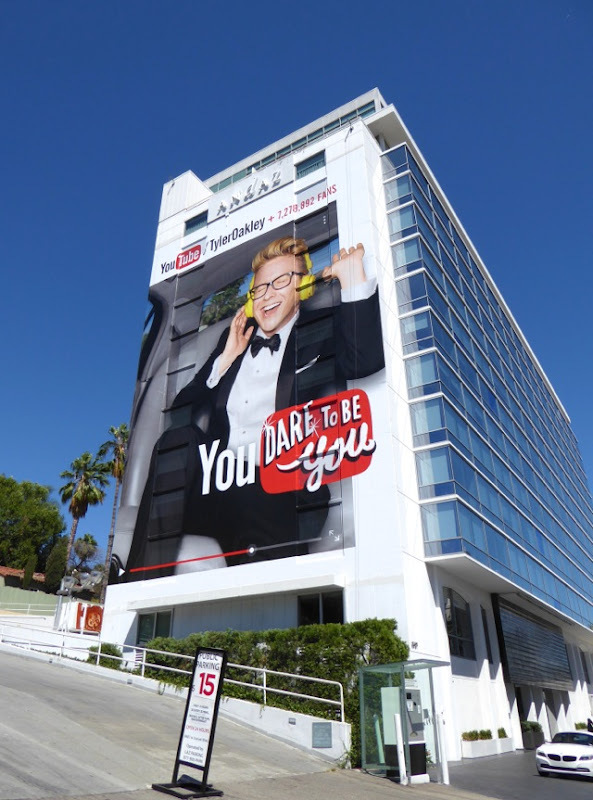 In the meantime, stick around this week for all the latest eye-catching outdoor ad creatives filling L.A.'s crowded skies.